Unique sportswear inspired by graffiti and street art. Do you want to stand out in the gym with your sporty outfit and stand out? 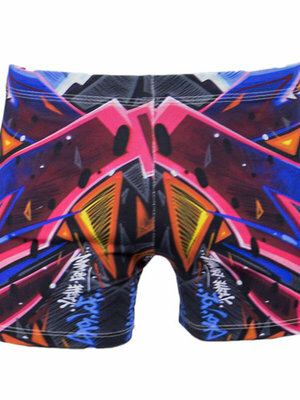 Then the sports clothing from Graffiti Beasts is definitely something for you. Not only suitable for the gym but also very popular for Yoga, Zumba, Pilates or for example Pole dancing. The sports leggings, shorts and skirts are all Squat Proof. Thanks to the combination of elastane and cool down polyamide, the moisture regulation is optimal and you do not get warm quickly in the Graffiti sport outfits. Moreover, the fabric is provided with UV protection for the skin and also ensures that the striking colors really retain their color. 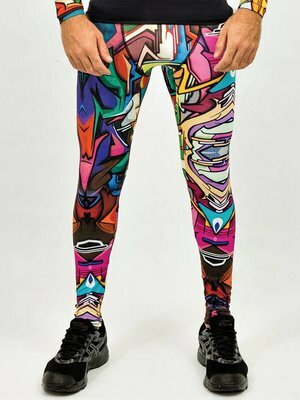 In addition to Squat Proof, the sportswear is made of material that allows you to stretch as much as possible without the legging becoming translucent. In short; the ideal outfit for carefree sports.